SkyTeam member airline Aeromexico currently uses the Boeing 787 Dreamliner as the backbone for their longhaul operations. 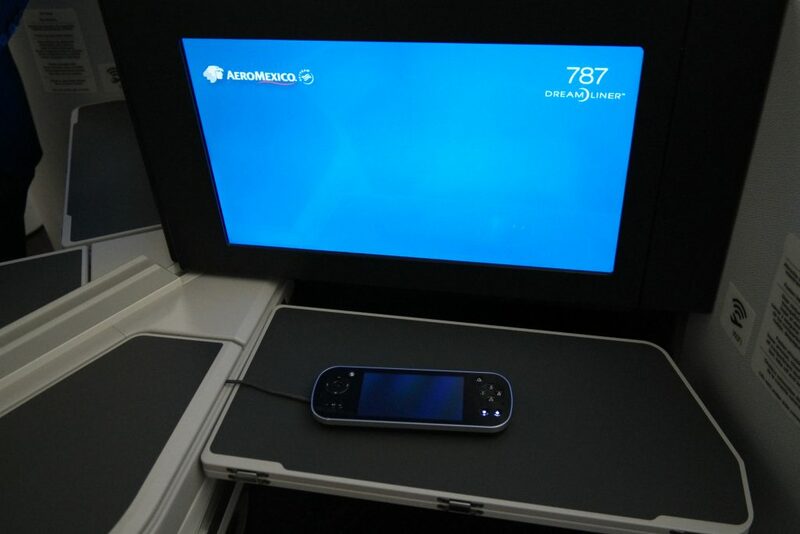 You can read an InsideFlyer report about Aeromexico’s 787-8 here. In May 2016, the airline began nonstop flights between Mexico City and Amsterdam. 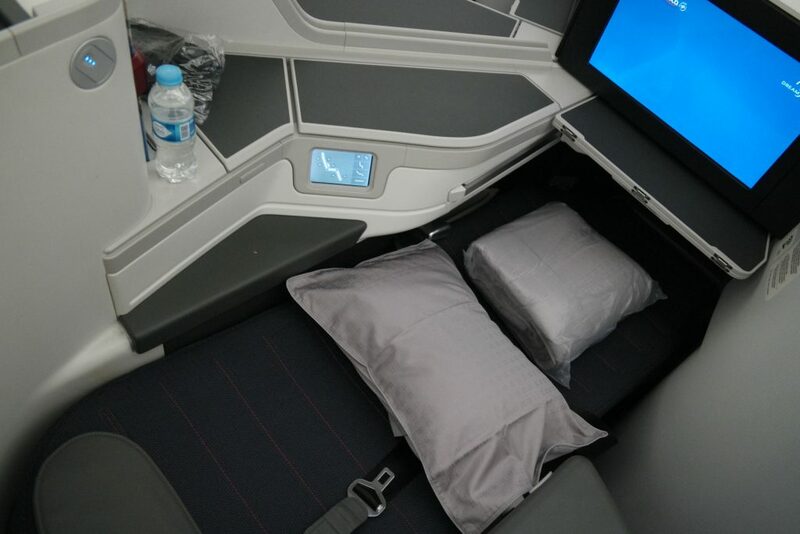 Since the launch of these flights, capacity has since grown significantly, with an announcement of daily service and the deployment of the larger Boeing 787-9 that features a new and improved business class cabin. 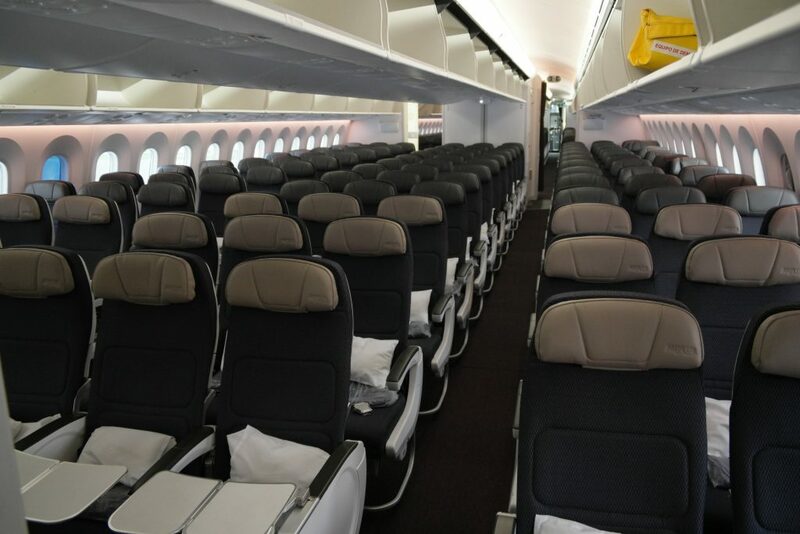 Insideflyer.nl received an exclusive look inside the aircraft at Schiphol after the arrival of the first flight. 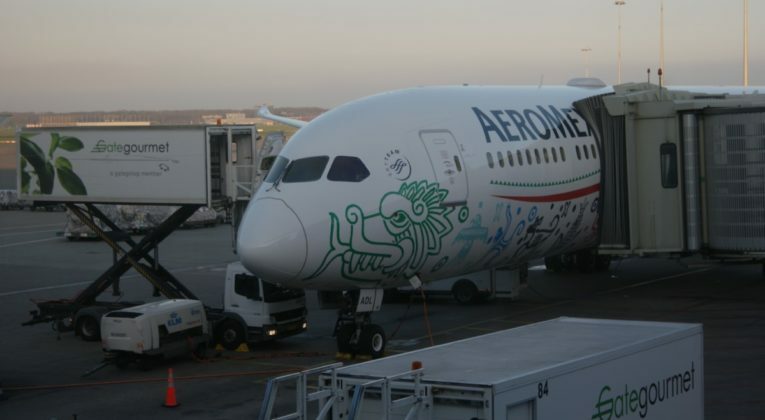 To celebrate the expansion, Aeromexico sent their 787-9 in the special Quetzalcoatl livery. The Aztec god Quetzalcoatl was a feathered serpent, and the design was chosen from a contest on social media and at local universities. 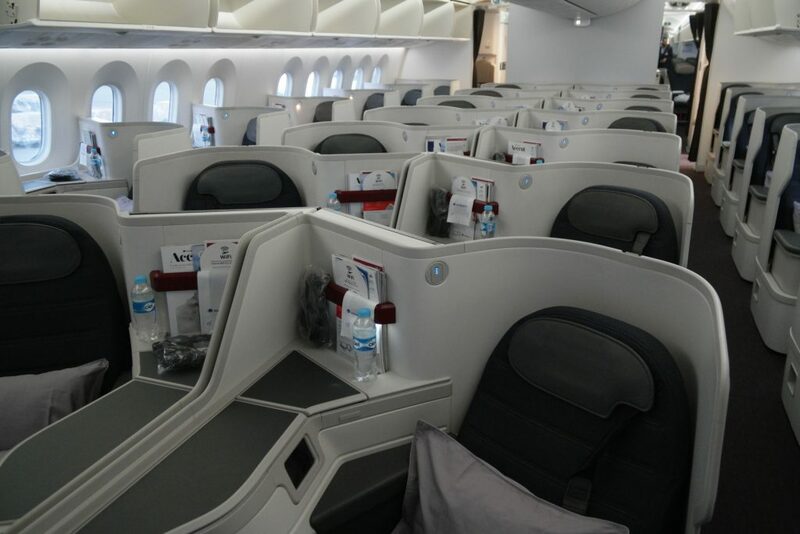 The bigger 787 offers 36 seats in Clase Premier (business class) and 238 seats in economy; four more in business class and 27 more in economy, compared to the 787-8. 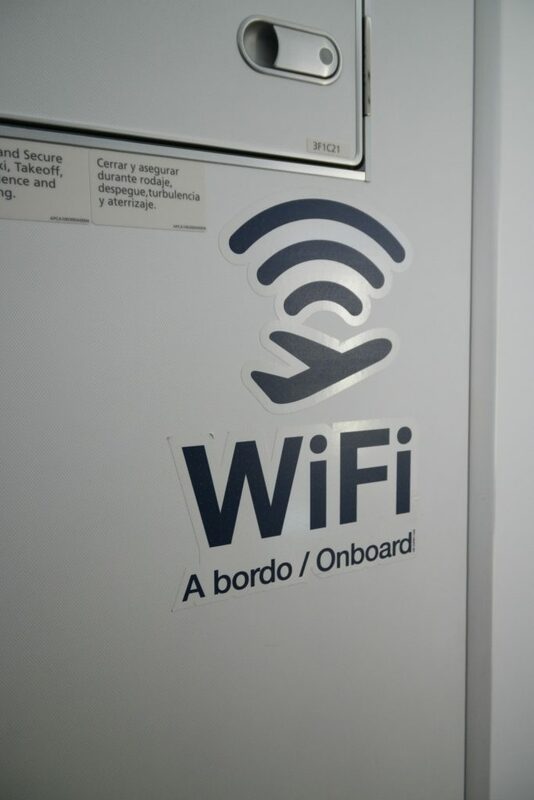 All of the aircraft are also equipped with wi-fi and live-TV. 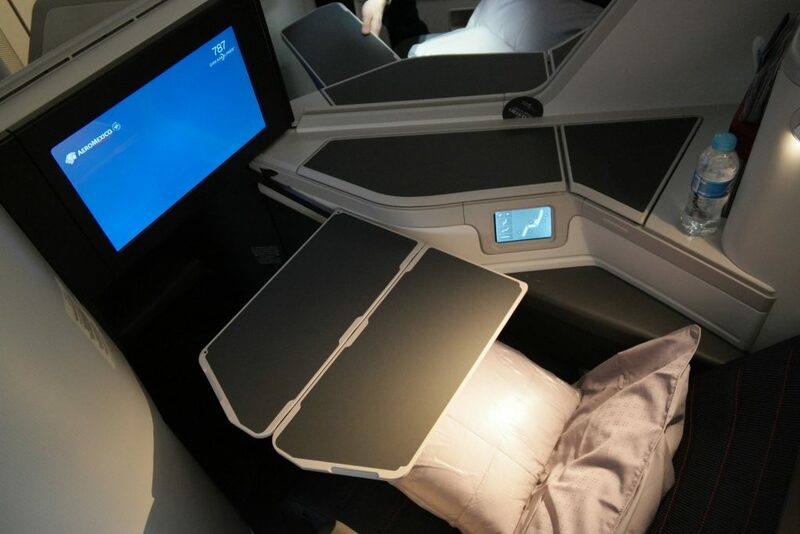 Especially in business class, the hard product has seen an improvement. 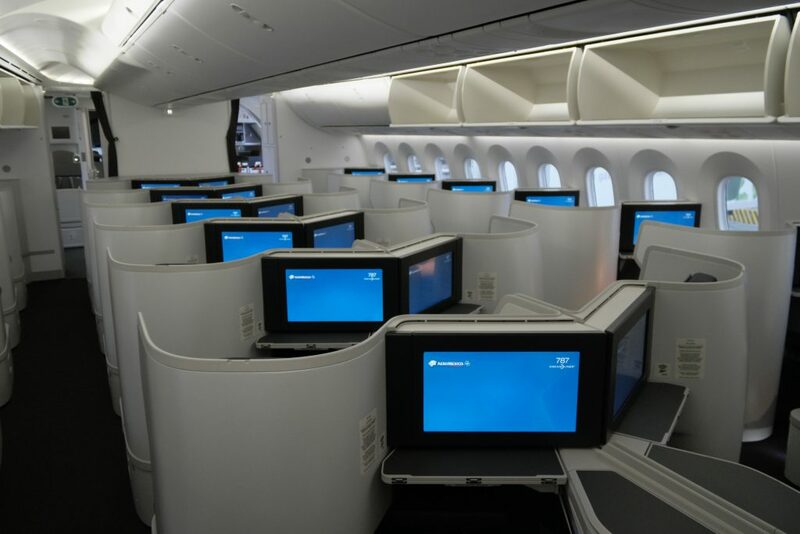 The layout is now 1-2-1 with the reverse herringbone style seat, compared to the 2-2-2 Diamond seat setup in the smaller Dreamliner. 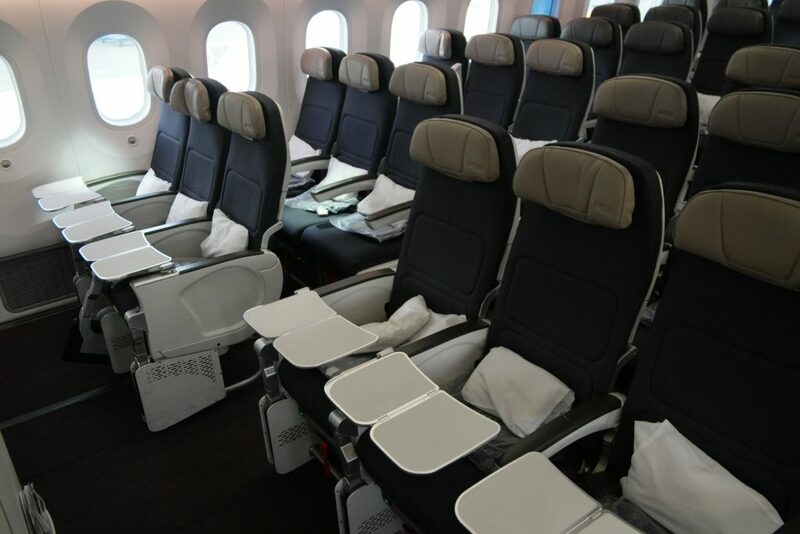 This means that every passenger in Clase Premier has direct aisle access. 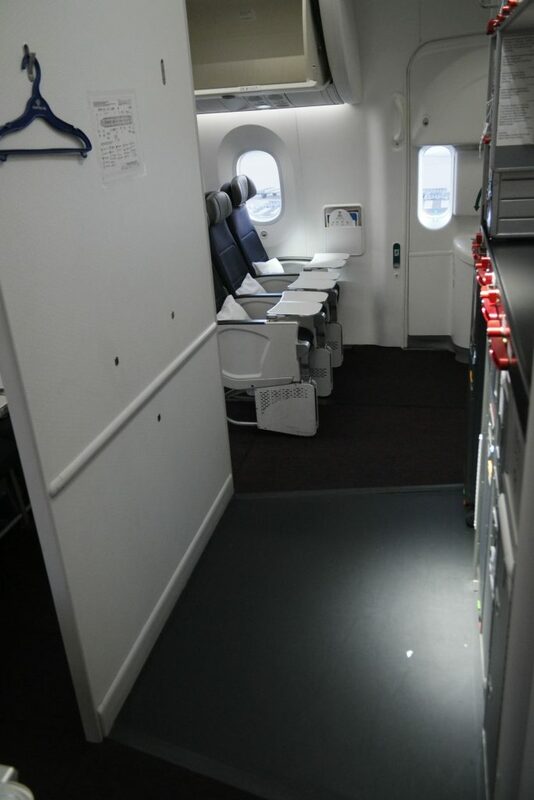 In between the two access doors, the main cabin offers 32 seats. 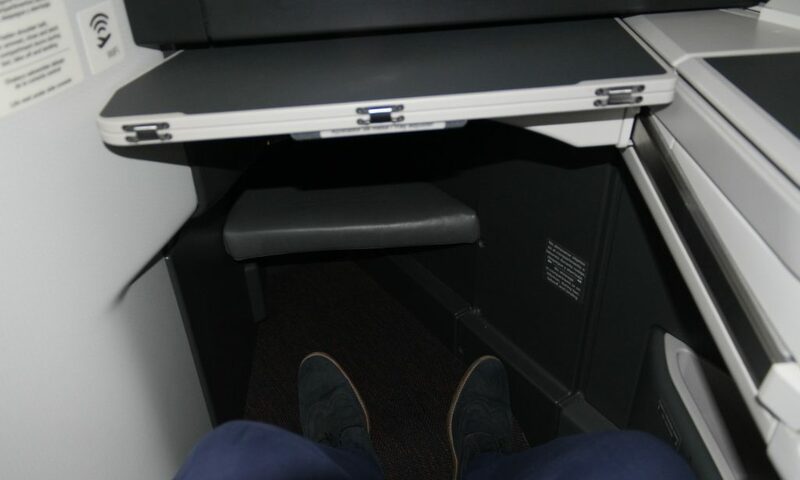 Between door 2 and economy there is a mini-cabin of one row. 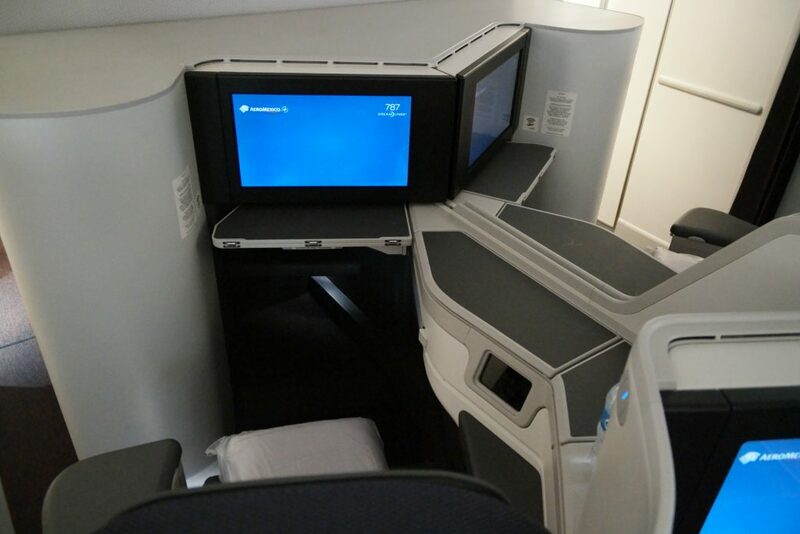 These seats offer a great amount of privacy; however, there is potential for a lot of foot traffic and noise from the economy cabin. 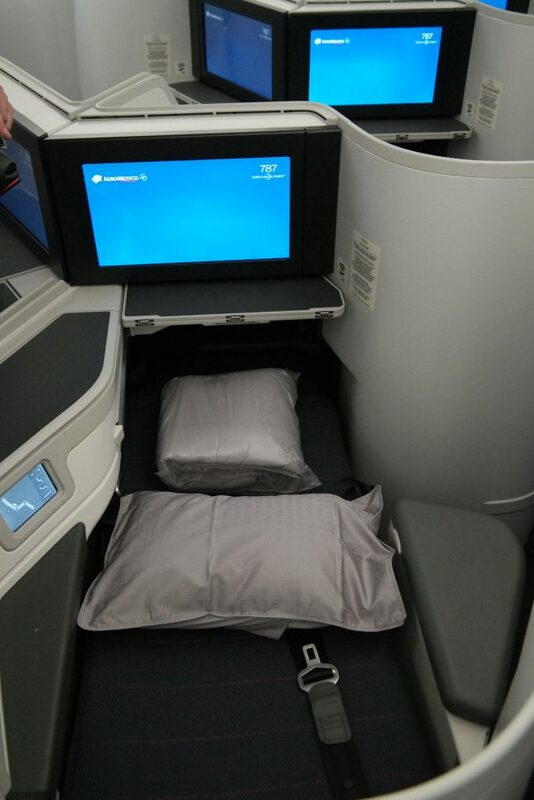 As expected, the seats in Clase Premier are full flat. 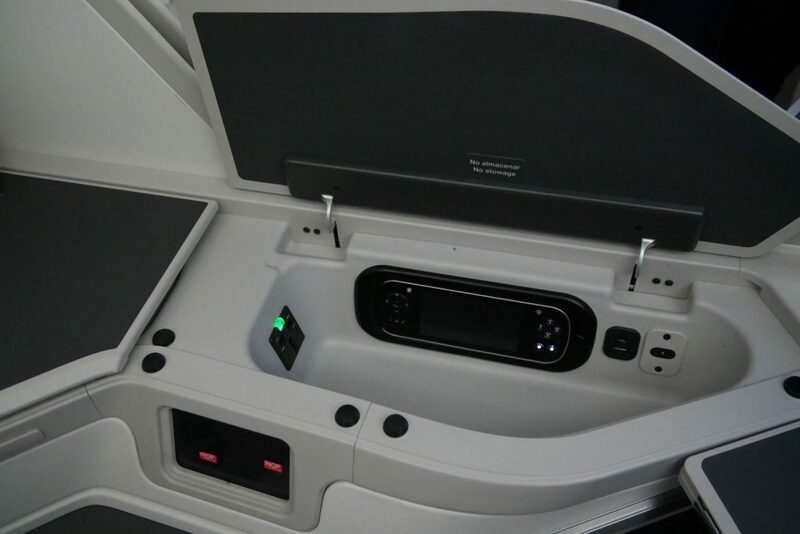 The seat can be adjusted using a touchscreen and there is ample storage space in and around the seat. 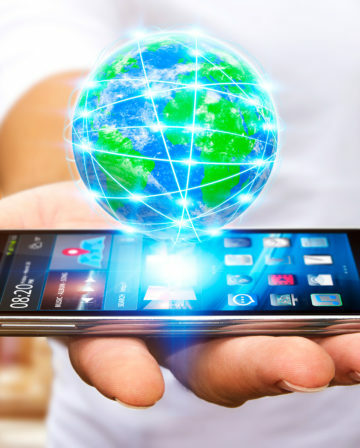 A power port, handset, USB-port and a mirror are stored in compartments. 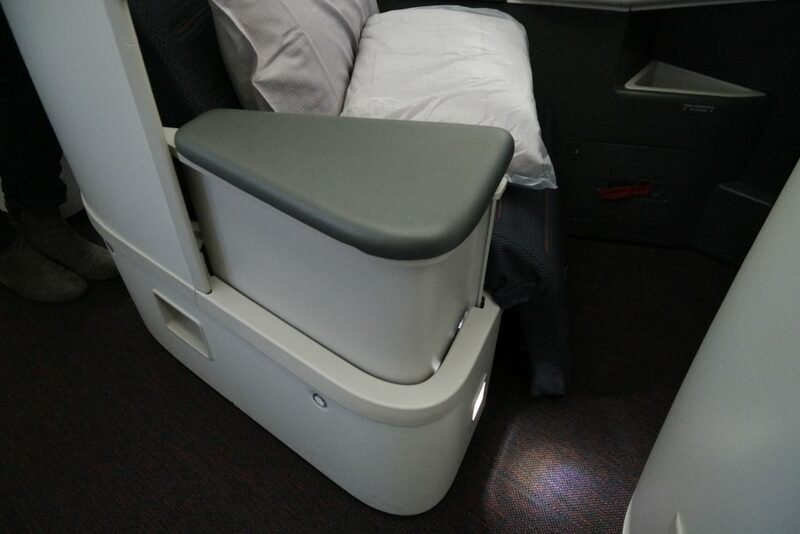 A reading light is available above the passenger’s shoulder. 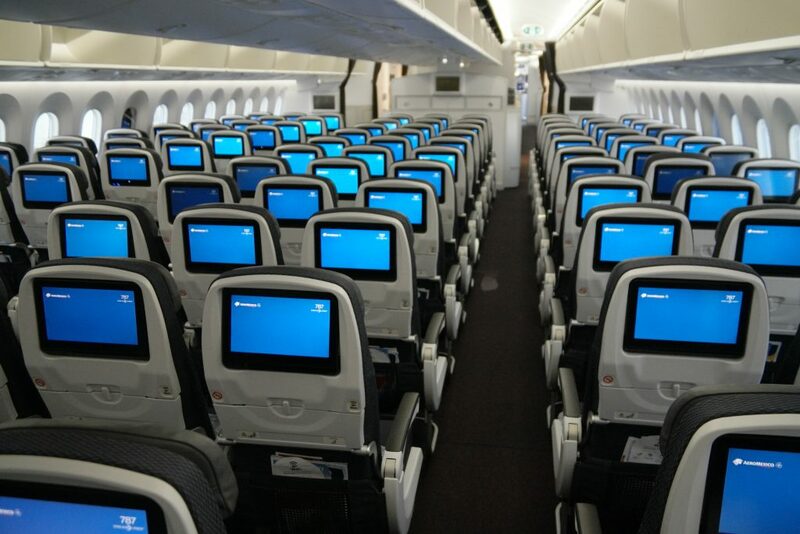 The entertainment screen measures 18 inches; two inches bigger than the Dreamliner. 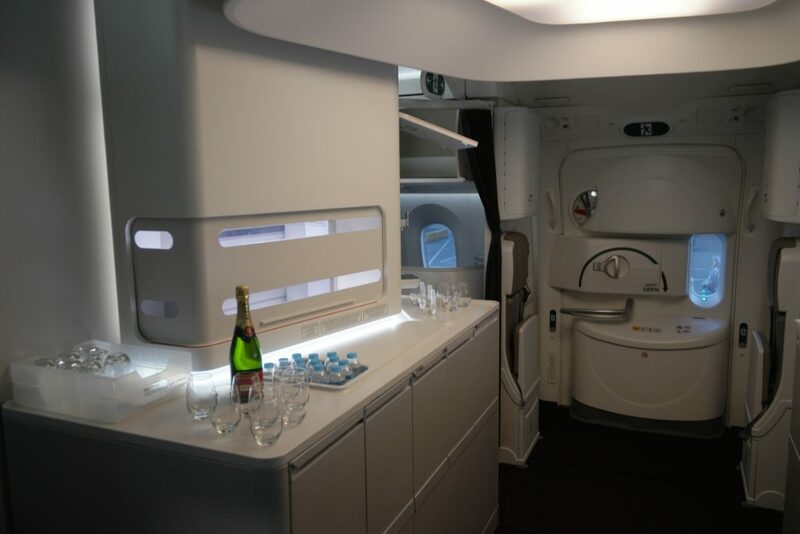 Premier passengers can visit a self service bar between the two cabins. 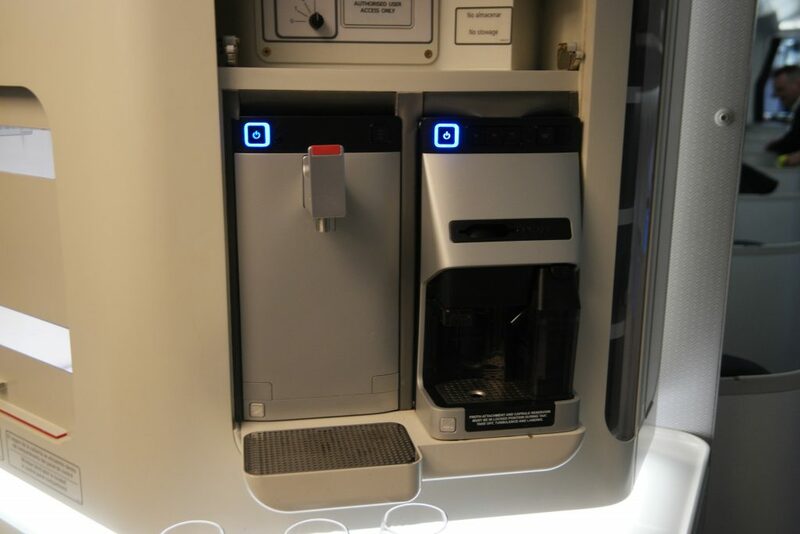 The onboard catering is further enhanced by an espresso machine. 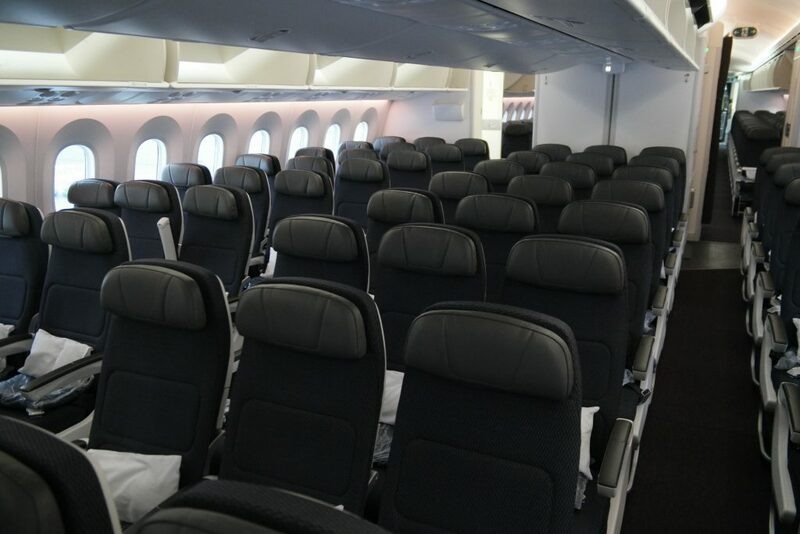 In economy class the configuration is a standard 3-3-3. 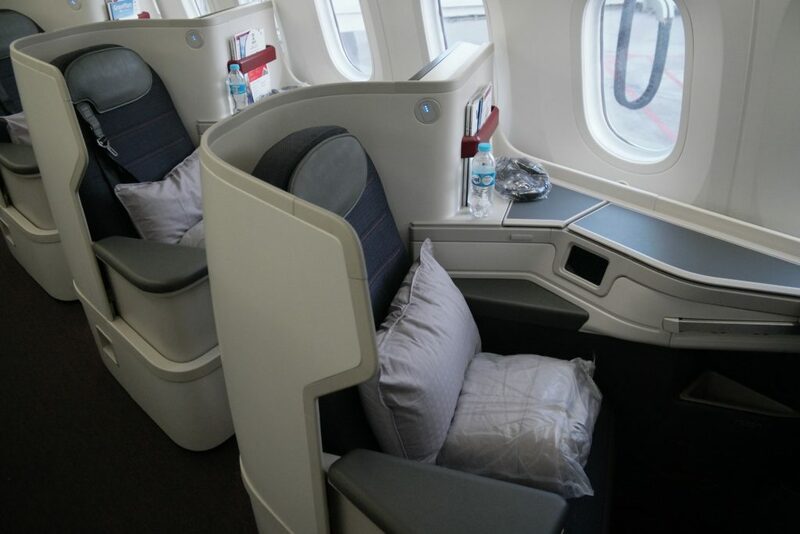 The first three rows are dedicated to the AM Plus cabin, Aeromexico’s extra legroom product, offering four more inches of space. 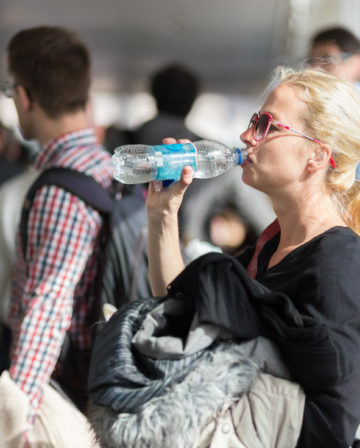 AM Plus passengers also receive priority services such as check-in, boarding and luggage delivery. 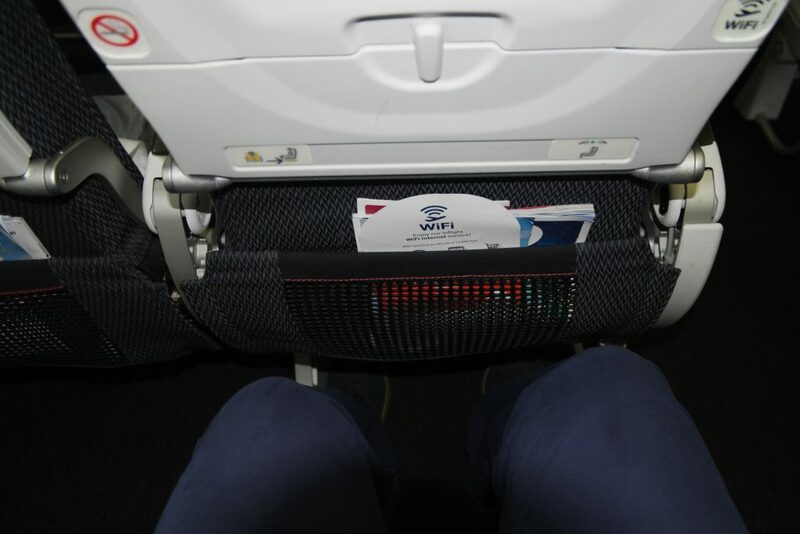 The legroom in AM Plus was excellent, but the regular economy legroom was good for someone measuring over six feet tall. 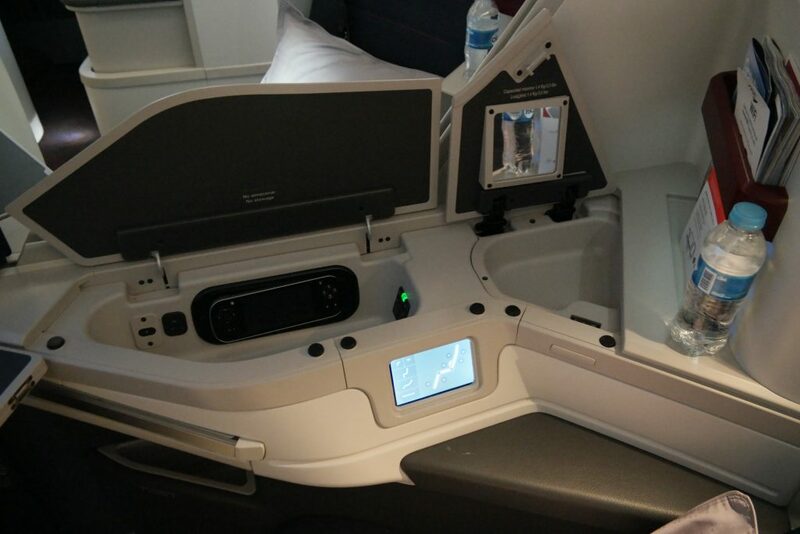 Standard economy passengers have an 11-inch entertainment screen with a USB-port and a power port to charge their gadgets. 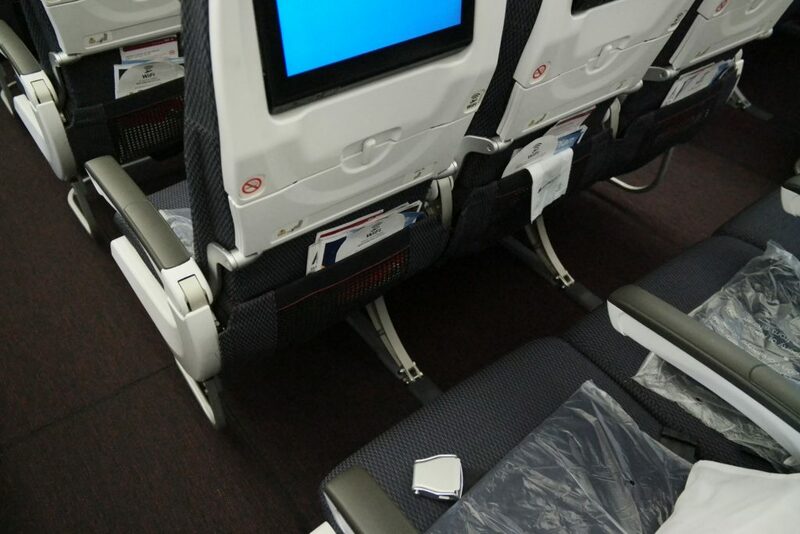 The second economy class cabin features six seats next to the emergency exit row offering a large amount of legroom. However, these are situated next to the galley which may possibly entail some noise disturbance. 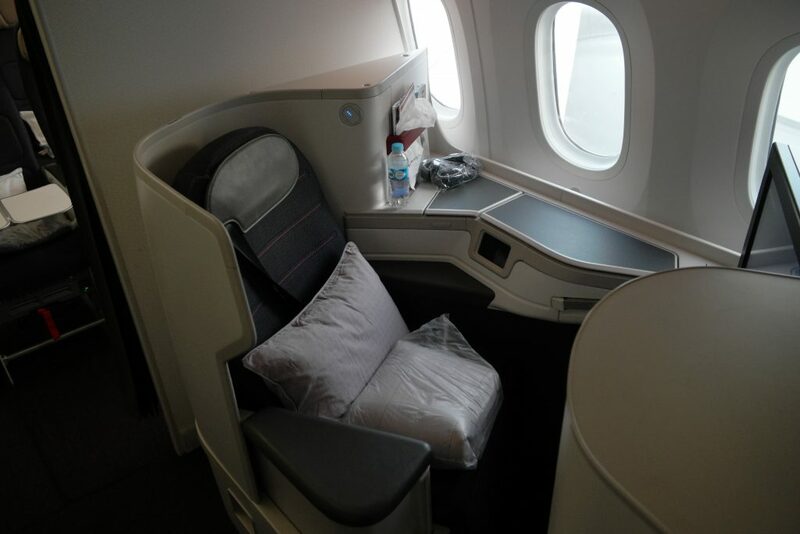 Aeromexico’s 787-9 offers a very solid product, especially in business class. 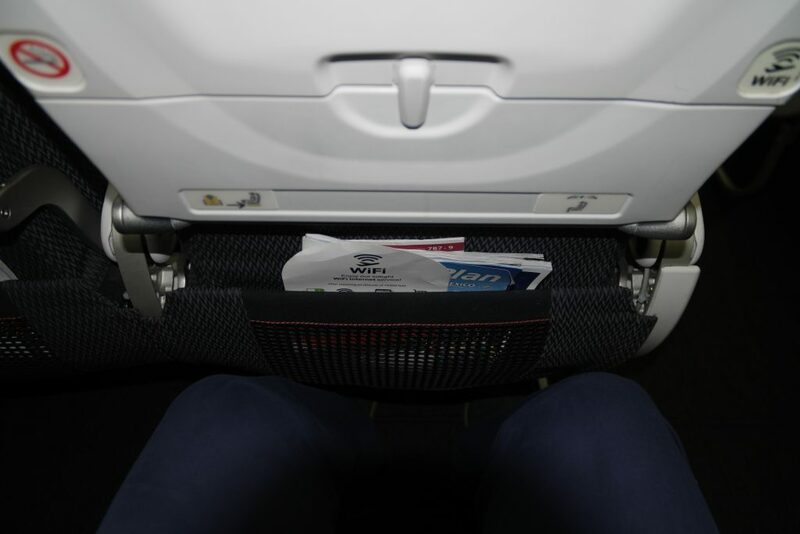 On night flights, passengers will surely appreciate the direct aisle access. 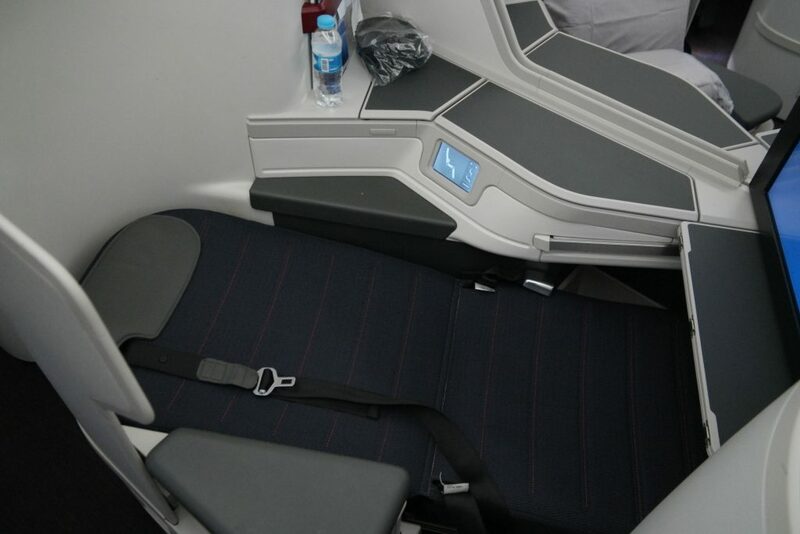 The new seats offer a high level of comfort with handy features to rest or be productive. 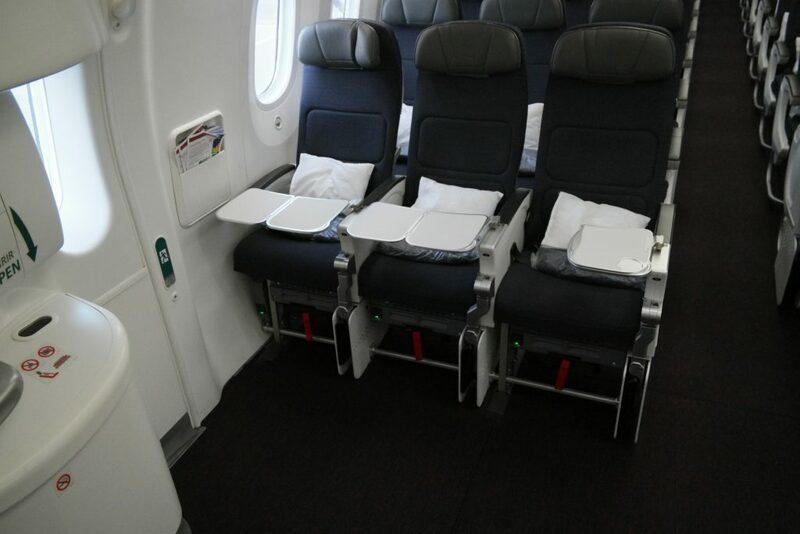 The standard economy class also offers a good amount of legroom and there is an option for more comfort and space with AM Plus. 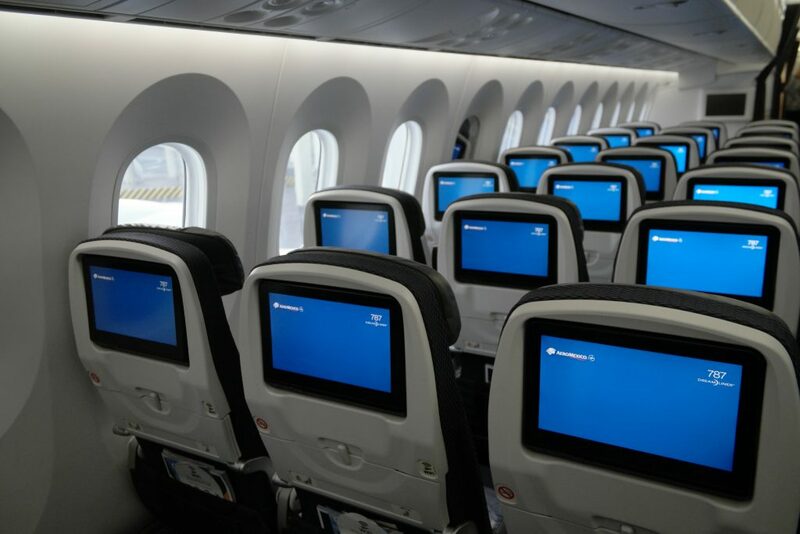 Economy passengers can also enjoy the onboard entertainment provided or use their own gadget with the power ports and wi-fi. 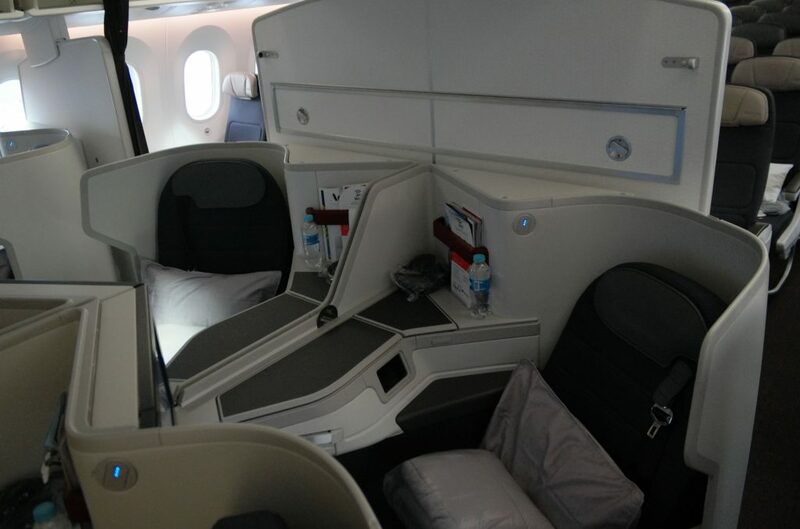 As well as Amsterdam, Aeromexico flies the 787-9 to New York JFK, Paris, Madrid, Santiago de Chile and Tijuana. 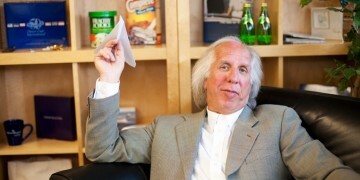 Ralph, a.k.a. The Flying Dutchboy, previously had his own eponymous blog but is now an Editor for InsideFlyer.NL, focussing on aviation and airtravel news. 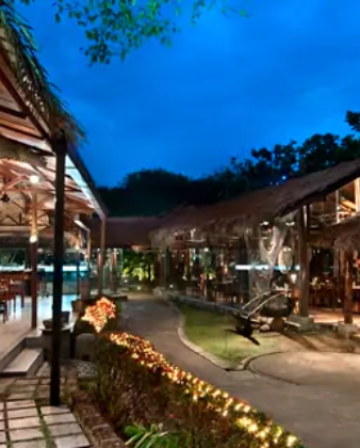 His goal is to maximize air travel and hotel overnights and make travel as luxurious as possible through his knowledge of points, miles and elite status.